After Infinity War hit theaters, Disneyland released the Infinity Gauntlet Sipper into the park, which was instantly hard to get. 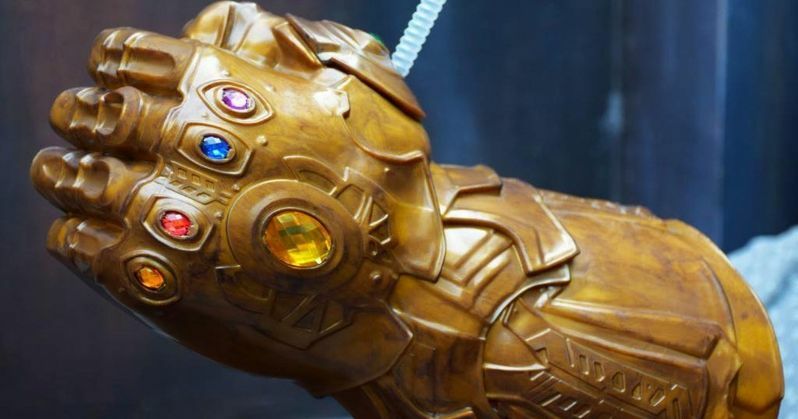 The sipper, which is a replica of Thanos' infamous Infinity Gauntlet, is a pretty clever piece of merchandise that carries a beverage in the wearable plastic glove. In addition, it includes all of the Infinity Stones, which was a selling point for Marvel Cinematic Universe fans. The sippers retailed for $20, plus tax and soon found their way to third-party sellers who were charging as much as $200 for one. Thankfully, Disney has made some more. Disneyland has announced that they have brought back the Infinity Gauntlet Sipper for a limited time for the same $20 price tag as last time. MCU fans can purchase the sipper at Off The Page and the Hyperion Theater inside California Adventure from now until the limited supplies sell out. If it's anything like it was last summer, fans might want to jump on this opportunity sooner rather than later to avoid people selling them for way more than they were purchased for. Disneyland is already popular enough as it is, but there are annual passholders that often go a few times a week and like to collect just about everything that the park has to offer, which means that the Infinity Gauntlet Sipper is going to be high on that list once again. So, it might not be a bad idea to hit up a friend who has a pass to ask if they can pick one up. With that being said, it seems logical that Disneyland will probably bring back the sippers in time for Avengers 4, which hits theaters next year. Infinity War is the biggest movie of 2018, having earned over $2 billion at the worldwide box office, so just about anything with Avengers on it has been pretty popular this year. But, for some reason, the Infinity Gauntlet Sipper has been one of the more sought out pieces of official merchandise since the film hit theaters in April. The idea of being able to quench ones thirst with the Mad Titan's epic gauntlet has proven to be the hot ticket. There's still even a few of them up on third-party sites for $80, as of this writing. The holiday season is on its way and the Infinity Gauntlet Sipper would make for a pretty awesome gift for the MCU fans, but just make sure you act quick if you're going to try and purchase one from Disneyland because they will not last, especially now that the word is out. Infinity War is now available to purchase digitally and on Blu-ray, while Avengers 4 will open in theaters next year, after the release of Captain Marvel. It would be pretty cool to watch the fourth Avengers film while wearing the Infinity Gauntlet Sipper, so hurry up and go get one. You can read the announcement about the sippers below, thanks to the Disneyland Today Twitter account.